Ultra Space Battle Brawl sounds like a cheesy eighties movie with lots of gore, out of this world technology, and above all, crappy costumes and special effects. While this would certainly provide us with a fun evening filled with Nostalgia, USBB is actually a strange hybrid of Pong and a fighting game in which space chickens protect a crystal, which serves as your core. Can you bypass the rest of the contenders, destroy their protective chicken and break the crystal? That was certainly a question we never imagined to pop into our heads. Like is the case with many fighting games, you’ll have to pick a character and then you’ll get to learn a bit more about this particular figure. You’ll get some backstory and their current goal on why they entered the USBB. While in some cases a bigger plot means the game is more attractive, it’s nice to see a game such as this has a plot at all. Overall things aren’t extremely interesting, but it’s simply fun to have a bit more meat on the bones of this small Pong-like title. USBB is presented in a fairly detailed pixilated style, which surely graces a simple title such as this. All characters are unique and diverse enough to create an interesting cast of space oddballs, together with the different backgrounds in the arenas. The special effects are simple, but feel like an actual brawler, instead of a spruced up Pong title. While the graphical prowess doesn’t go much higher than a HD SNES title, the game looks fun, attractive and entertaining enough to draw in the proper crowd of gamers. The music in Ultra Space Battle Brawl is pretty much phenomenal, as it’s upbeat, entertaining and just gets you in a certain kind of groove, making it so you won’t even shut down the game after you’ve stopped playing. The effects are a bit more on the simple side of the fence, but they do the trick, making the game a fun piece of work to listen to. 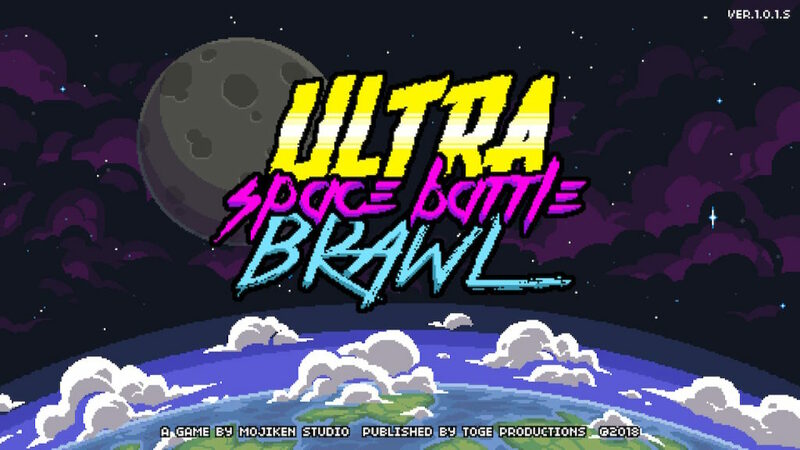 Ultra Space Battle Brawl is actually pretty much what the title says, it’s an arcade game that revolves around space battle brawls, in a Pong like fashion. 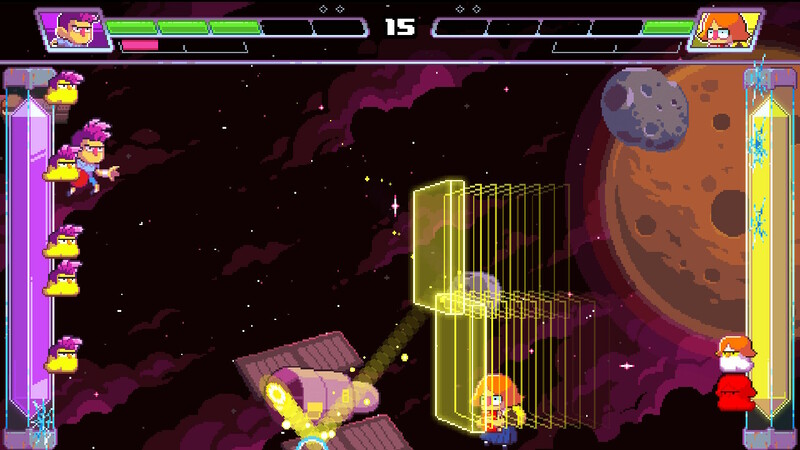 You’ll constantly be trying to smash the ball behind the defense of the opposing team, by destroying the space chicken shield barrier and eventually destroying the enemy’s crystal core. The game feels a lot like a fighting game with the character select, an ultra move, and the health bars that grace the top portion of the screen. Sadly, the game doesn’t offer more than hitting a ball back and forth, using a special move, which is unique per character, and destroying the enemy core. The game will limit you to the story portion, which is similar to that of fighting games, where you pick a character and then run through his/her storyline. The versus mode will allow you to play free battles, or simply duke it out in a 1 v 1, 2 v 1, 1 v 2 or 2 v 2 format, which is fun if you have friends over, or if you simply want to practice your skills with a character. The story mode has enormous difficulty spikes, which doesn’t really make it all too pleasant to beat the game with all characters, especially since the game doesn’t really have a practice mode, and the special skills are somewhat unexplained, making them hard to recognize what they actually do for some of the characters. 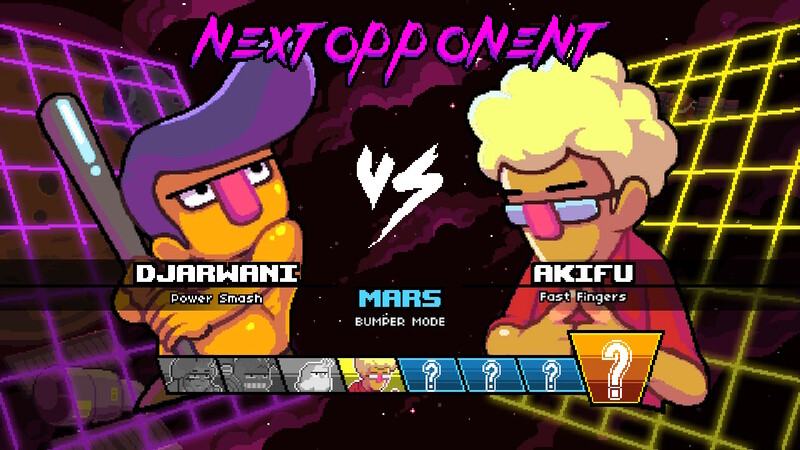 While the game offers a reasonable amount of space brawlers, the characters only differ in the sense of their esthetics and a single special move. Other than that, they tend to handle the same way, meaning that there’s no real distinction between fighters other than the two minor differences we just mentioned. We lack the interesting features that drive fighting games forward, safe for a small difference in move and hitting speed, it would have been nice if there was more than one special move for example. We feel like this game could be a lot more than it currently aims to be. 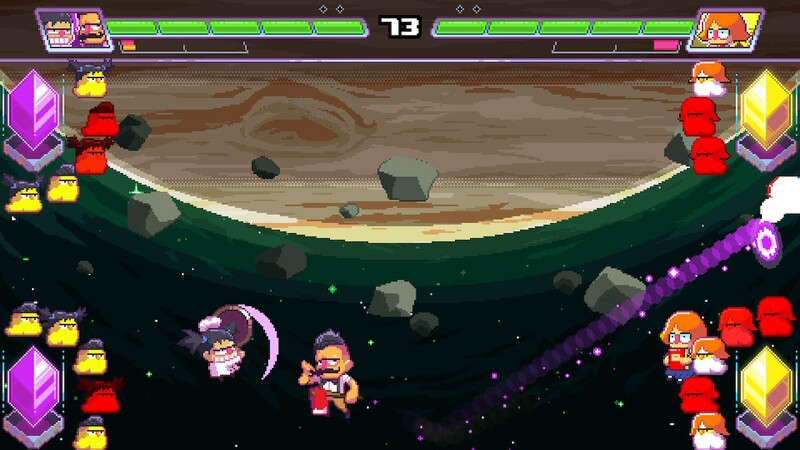 Ultra Space Battle Brawl is a fun game to play in short bursts, but it will not entertain you for many gaming sessions. The game is the most fun when played with friends, as the difficulty spikes in the story mode are a bit ridiculous at times. If you fancy a game of Pong, with health bars, and a cast of wacky fighters, then this game might entertain you for a short while. If you’re looking for an in-depth fighting game, with complex fighting mechanics, then its best to look elsewhere.